Much has been written of Abraham Lincoln. Books upon books upon books have been published that center on the man and the myths surrounding his life. Just as much has been crafted for televised documentaries. And even more has been penned about the era in which our nation’s sixteenth President led his country. 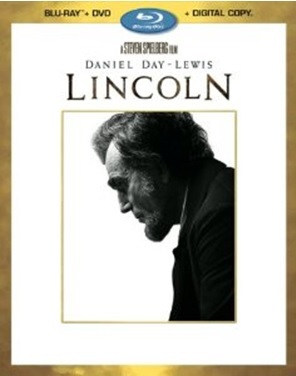 Now courtesy of author Doris Kearns Goodwin, director Steven Spielberg and screen writer Tony Kushner, audiences have been presented with what is one of the most gripping portrayals of President Lincoln and his time in office in the simply titled, Lincoln. Lincoln was largely met with applause from critics and audiences alike. Though there were those that had their qualms with the near three hour long semi-biopic. Many of the arguments against the story were centered on the fact that the movie in fact focuses on Lincoln and the battles in the halls of the nation’s government. In the story’s defense, audiences should remind themselves that this movie is not about the war on the battlefield. It is about the battles in Congress over the abolition of slavery and bringing a final end to the Civil War. It is a beautifully shot and well acted story. However, those who have mentioned its sometimes long winded nature can be agreed upon. Sometimes, it does get rather wordy. And the story’s slower pacing might turn off some viewers considering that the movie comes in at nearly three hours long. But those that are true history buffs and/or civil war buffs will easily be able to overlook these issues and enjoy it for its positives, which outweigh the negatives. For the negatives that weigh down Lincoln, its positives outweigh those negatives. The first of the positives in Lincoln is that it doesn’t get lost in itself throughout the course of its run time. The story is meant to focus on President Lincoln and what was the most pivotal moment in his time in office; his waning days in office before his assassination. The new four-disc Blu-ray/DVD combo pack home release of the movie includes the bonus feature, “The Journey to Lincoln” on both formats. This feature is a welcome addition as Spielberg, author Doris Kearns Goodwin—whose book was the inspiration behind this movie—and screen writer Tony Kushner all point out in this feature that the aim was meant to be on what went on in Congress during the final days of the Civil War, rather than on the frontlines. Having this hammered home so gently by all three individuals makes the story more watchable in comparison to the likes of Public Enemies which was also based on a historical non-fiction. That movie was a mere shadow of the far better book. It really was a movie that never should have happened. This movie at least attempts to stay closer to the book on which it is based. It presents less the mythical Lincoln and more the actual man, and what he faced in what would be his final days in office. The story and its primary associated bonus feature make up just one of the positives to the new home release of Lincoln. The acting on the part of the star-studded cast is another positive to Lincoln. Even though there are some portions of the movie that are more drawn out than they perhaps should have been, veterans Daniel Day Lewis (There Will Be Blood), Tommy Lee Jones (Men In Black 1-3), and Sally Field (Mrs. Doubtfire, Smoky and the Bandit), all contribute expertly, making their parts fully believable. Making their performances even more believable are costumes that are spot on. While the movie may not have taken the Oscar for this category, there is no denying how impressive the end result of that work was. Speaking of which, audiences that pick up the new four-disc Blu-ray/DVD combo pack of Lincoln get another bonus in the addition of a feature titled, “Crafting The Past” in the set’s bonus Blu-ray disc. This feature examines not just the costumes, but also the production work and other more fine details of the movie. The costumes and production of Lincoln are just as important as any other part of the movie that makes it successful. There is at least one more factor to the movie that makes this the impressive work that it is. That factor is the movie’s cinematography. The shooting style us especially powerful in the movie’s closing scenes as the President surveys the result of a battle. And the movie’s final scene (which will not be revealed here for the sake of those who have yet to see the movie), is a prime example of expert cinematography. The transition into that scene and the final pullout are such powerful statements in themselves, and will leave any true history and civil war buff feeling completely satisfied after having made it through the rest of the movie’s emotional journey. After having made that journey and having viewed the extensive bonus features included in the new four-disc Blu-ray/DVD combo pack, those same individuals will agree that Lincoln is in fact one of the best biopics crafted in recent history, albeit only a semi-biopic. It is available now in stores and online.